Zoe Elizabeth Sugg or better known by her youtube username ‘Zoella’ is a 26 year old blogger, fashion and beauty youtuber and vlogger from the UK. Zoella grew up in Lacock, Wiltshire and currently lives in Brighton. Zoella is the older sister of Joe Sugg, who is also a vlogger and internet personality known as ThatcherJoe. Zoe is currently in a relationship with fellow Youtube personality Alfie Deyes, known on youtube as PointlessBlog. Zoella is also an author and has released three books. Her first book Girl Online: The First Novel by Zoella was released in November 2014 and broke the record for highest first-week sales of a first-time novelist. Her second book Girl Online: On Tour: The Second Novel by Zoella was released almost one year later in October 2015. In November 2016 she released the third novel in the Girl Online series called Girl Online: Going Solo. In 2009 Zoe was working as an apprentice at an interior design company when she started her fashion, beauty and lifestyle blog “Zoella”. By the end of 2009 the blog had around a thousand followers. At the end of 2009, while she was working for British clothing retailer New Look, she created her Youtube channel and started making videos too instead of only written blog posts. 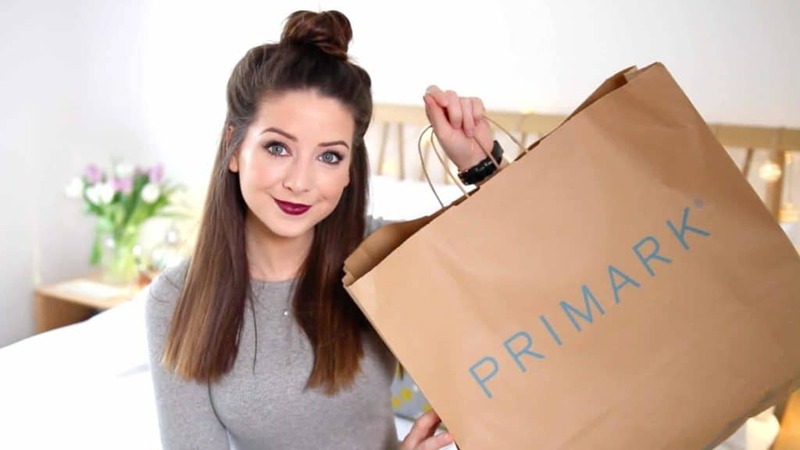 Zoella started her main channel for fashion and beauty videos at the end of 2009 in addition to her blog. She uploaded her first video 60 Things in My Bedroom on 17 December, 2009. At first the channel grew very slowly taking over two years before reaching 40.000 subscribers on Youtube in 2011. Two years later at the start of 2013 Zoella’s main channel had a little over 400k subscribers but soon after started growing faster and faster. On the 20th of April, 2013 Zoella reached 1 million subscribers on her youtube channel but at the end of 2013 she already had almost 3.5 million subscribers. Zoella was able to reach 5 million subscribers mid-2014 and achieved the 10 million subscribers mark at the beginning of 2016. Alongside her main youtube channel where she uploaded her fashion and beauty videos she also started a second youtube channel: MoreZoella. She started her second youtube channel in 2012 and started uploading her vlogs to this channel. Zoe is a lifestyle vlogger and usually vlogs day to day activities. Zoella uses two different camera’s depending on the type of video she is recording. If she is recording a vlog she uses the Canon PowerShot S120 as her vlogging camera. 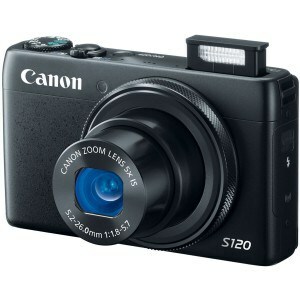 The Canon PowerShot S120 has a high speed autofocus system for maintaining sharp video footage. The camera also uses Canon’s HS SYSTEM which helps drastically improve the quality of dimly-lit shots. The built-in Canon 5x lens provides and equivalent focal length range of 24-120mm, covering wide-angle to telephoto length perspectives. If you are looking for a vlogging camera you can also use our in-depth buyers guide to help you find a vlogging camera for your budget. For the beauty and fashion videos she uploads to her main channel she uses a high quality DSLR camera since she doesn’t have to carry this camera around all day and using a DSLR allows her to make better quality videos than the point and shoot Canon S120 she uses as a vlogging camera. Using the Canon 70D DSLR for her beauty and fashion videos has a couple of advantages over her vlogging camera. The DSLR camera can be mounted on a tripod, it has the ability to connect an external microphone for improved sound quality and it also has a flip screen so you can view yourself while you’re filming. A flip screen helps you see if you’re in the shot and you can also see if the camera stops recording. If you are looking for a DSLR camera for your youtube videos but the 70D does not fit your needs or budget you can check out our camera guide to help you find the best alternative. Zoella uses two different lenses with her Canon 70D DSLR camera. The first one she uses is a Sigma 18-35mm f/1.8 Lens for Canon. 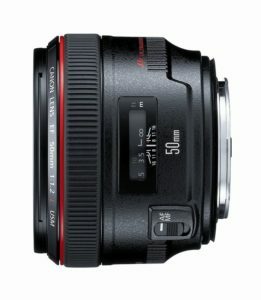 This lens has a very solid build quality without it being over-heavy, has a fast and silent autofocus and has great image quality. Zoella uses this lens for most of her videos except the make-up videos. The second lens Zoella uses is the Canon EF 50mm f/1.2. Zoella uses this lens to record her make-up videos because the lens offers an ultra-large aperture that produces a narrow depth of field. This means that the main focus of the video footage will look very crisp while the background will have a type of soft blur. 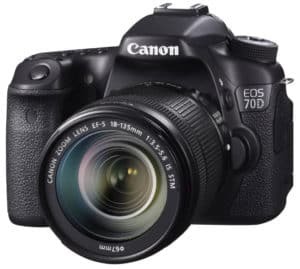 While the Canon EOS 70D has a built-in microphone, the sound quality of that microphone is not as great as the sound quality of a professional external microphone. 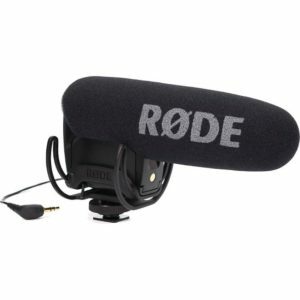 So to improve the sound quality of her videos Zoella uses a Rode VideoMic Pro. This microphone will record crystal clear audio while minimizing pickup from the sides and rear. To position her DSLR camera, Zoella uses a Velbon tripod. This is a lightweight tripod with a fluid pan and tilt head and is able to support heavy camera’s. The camera is able to extend to a maximum height of 5.61ft/170cm. To create the best lighting for recording videos Zoella uses this LED Flood Light by Manfrotto. Zoella used to use soft boxes for the lighting in her videos but has since switched to this light for different reasons. You can change the color temperature of the light with a simple dial so you can choose a warmer color if you want and you can also easily make this light brighter or dim it. 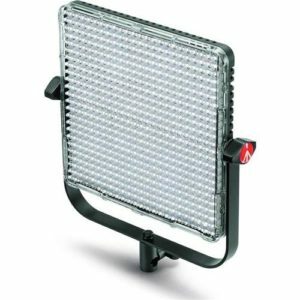 With this light you can adjust different light settings so it is perfect for your video whereas with a soft box you have to adjust different camera settings to fit the light. For editing her videos Zoella uses a 13 inch Macbook Air with Final Cut Pro X. If you are not familiar with Final Cut Pro X you can download a free trial version of Apple’s website and try it out for your own videos.